Welcome to Tellico Plains, the gateway to the Tellico River, Bald River Falls, countless mountain trails and over 300 miles of wild and native trout streams. The adventure is yours to make. Tellico River- The namesake of the town of Tellico Plains and Tellico Outfitters, and for good reason. The largest freestone trout stream in Tennessee, the Tellico River is a mix of wild and stocked rainbow and brown trout. There are even native brook trout in its headwater streams just across the North Carolina border, for those adventurous enough to find them. 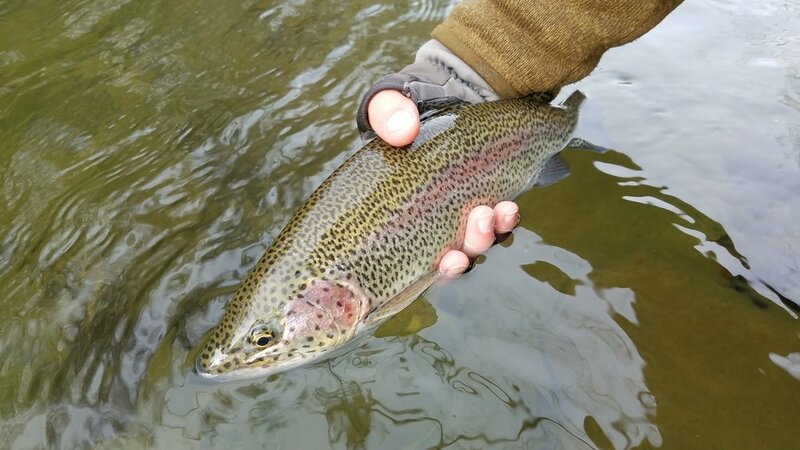 With weekly stockings of catchable and trophy sized trout throughout the spring and summer and 5 fall and winter months of Delayed Harvest with catch and release only regulations when some of the biggest trout of the year are planted in its waters, the Tellico has something for everyone. Whether you’re after a limit of trout to pan fry over a campfire during a summer family camping trip, gorgeous wild rainbows that shine like jewels, or the challenge of elusive wild browns that haunt deep pools but don’t come easy, the Tellico has it. North River- The North River is the first of the Tellico River’s major tributaries that you will encounter as you drive along River Road. While not as big as the Tellico, don’t underestimate this stream for producing fine fishing for wild rainbow, brown and native brook trout. With a distinct lower section with its many water falls, plunge pools and bedrock rapids, the more challenging middle section with its lower gradient and long riffles and glides, or the upper section with its classic Appalachian plunge pools and pocket water, there are plenty of options to suit your style and test your small stream skills. The North River Road parallels the North River for most of its length, meaning that access is easy in all but the highest of mountain tributaries. Bald River- If there is a crown jewel of the Tellico River system, it is the Bald River. Many visitors are familiar with beautiful Bald River Falls, which tumbles 90 feet from the streambed above to meet the Tellico River below. What fewer people realize is the fantastic fishing that the Bald River provides for anyone adventurous enough to wade in its mostly rugged and remote stretches of water. Like the North River, the Bald can be divided into three distinct sections. Directly above Bald River Falls is the Bald River Gorge Wilderness. 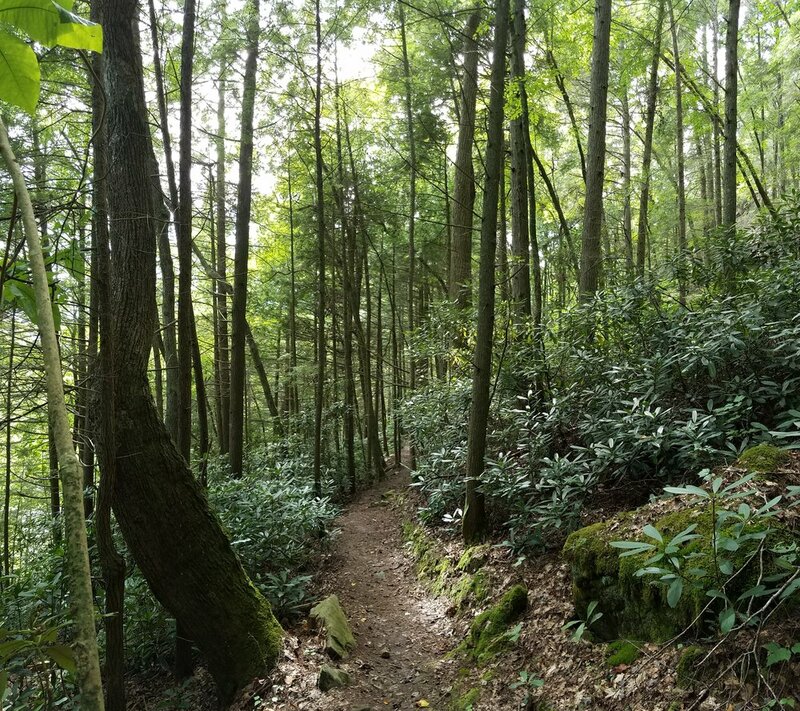 This rugged and remote 5 1/2 mile stretch can only be accessed by the hiking trail that parallels it from Bald River Falls to Forest Service Road 126. This section is rarely fished and full of eager wild rainbows. Rumor has it that though uncommon, very big wild browns of 20” or more can be found in this stretch for anyone lucky enough to encounter them. The middle section, much like on the North River, is a much lower gradient than the lower gorge section. Wild rainbows and the occasional brown still abound, and this is a great place for someone new to small stream fly fishing to hone their skills. The upper section, much like the gorge section, is accessible only by foot, but the stream is much less rugged here. The first few miles are chocked full of willing rainbows and browns and if you get high enough, you can find some of the best native brook trout fishing in the entire river system, with eager brookies just waiting for a well presented bushy dry fly. 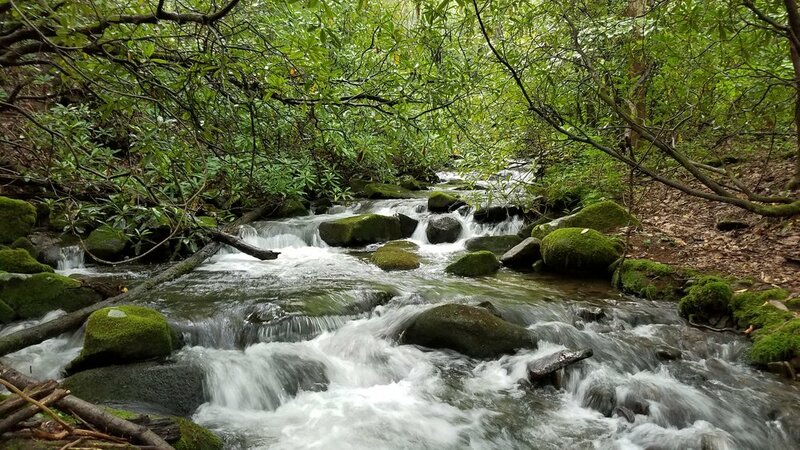 Other Small Streams- For the small stream enthusiast, the Tellico watershed has one of the finest collections of small water in the Southeast. Starting at Turkey Creek and continuing all the way up into the smallest of headwaters, just about every creek that holds water year round is teeming with wild rainbows, browns and brook trout. 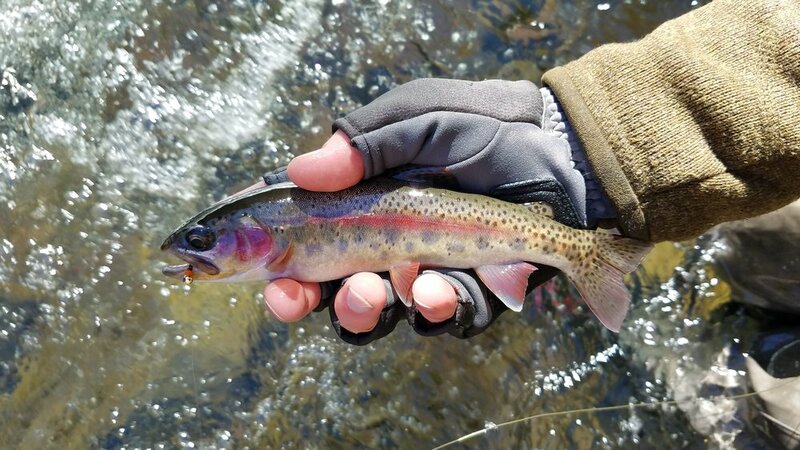 The nearby Citico Creek watershed also has hatchery supported waters as well as wild rainbows and native brookies in its own right. To many, the ultimate prize is to catch one of the Southern Appalachian’s native brook trout. These little gems are as beautiful as trout get, and the Tellico area is blessed to have over 20 miles of stream where these natural treasures have maintained a foothold despite decades of shrinking habitat. Thanks to the efforts of local and state groups including restoration projects lead by the Tellico Trout Hatchery, the South’s only native trout is sure to have a strong presence in the area’s streams for generations to come. If you’re interested in knowing more about our small stream wild and native trout resources, be sure to ask us for more information at the shop. We would be glad to point anyone interested in the right direction. Just be aware, these streams have remained wild for a reason, make sure you’re prepared to put in the work and you’re sure to be rewarded!